LOCATION.--Lat 41°02'39", long 74°17'35" referenced to North American Datum of 1983, Wanaque Borough, Passaic County, NJ, Hydrologic Unit 02030103, on left bank 750 ft downstream from Raymond Dam in Wanaque, and 50 ft upstream from bridge on County Route 511 (Ringwood Avenue). PERIOD OF RECORD.--Continuous-record stage only, December 1903 to December 1905. Continuous-record gaging station, September 1912 to April 1915, May 1919 to current year. GAGE.--Water-stage recorder with telemetry and concrete control. 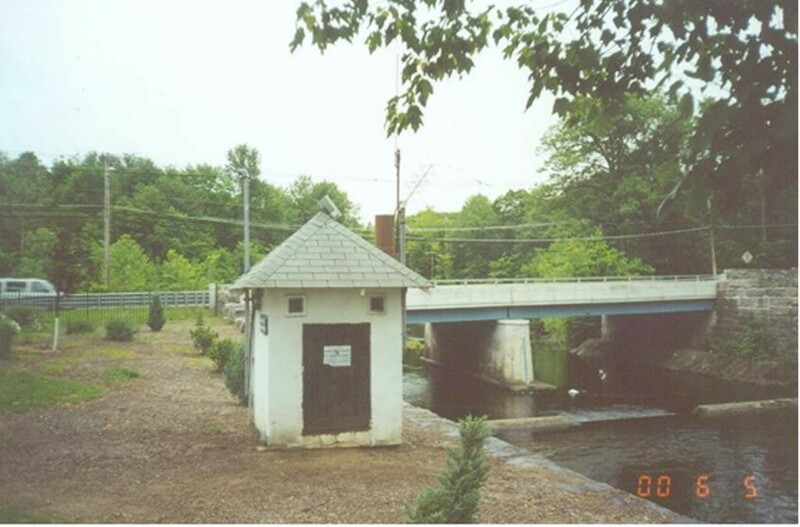 Datum of gage is 210.00 ft above NGVD of 1929 (levels from New Jersey Geological Survey benchmark). December 16, 1903 to December 31, 1905, non-recording gage on highway bridge at site 50 ft downstream at different datum. September 15, 1912 to April 1, 1922, non-recording gage at site 200 ft downstream from present concrete control at different datum. April 1, 1922 to March 14, 1931, water-stage recorder at site 400 ft downstream from present concrete control at present datum. REMARKS.--Records good, except for estimated discharges which are fair. Flow regulated by Greenwood Lake (see 01383000) 11 mi above station, since October 1987 by Monksville Reservoir just upstream from Wanaque Reservoir, and since 1928 by Wanaque Reservoir (see 01386990). North Jersey District Water Supply Commission diverts water for municipal supply from Wanaque Reservoir. Water is diverted to Wanaque Reservoir from Posts Brook near Wanaque, from Ramapo River at Pompton Lakes, and from Pompton River at Two Bridges. Water diverted into basin above gage from Upper Greenwood Lake (Hudson River basin) by North Jersey District Water Supply Commission since 1968. EXTREMES FOR PERIOD OF RECORD.--Maximum discharge, 10,500 ft3/s, Apr 5, 1984, gage height, 10.82 ft; minimum discharge, not determined. National Weather Service flood stage for this gage is 6.0 ft.